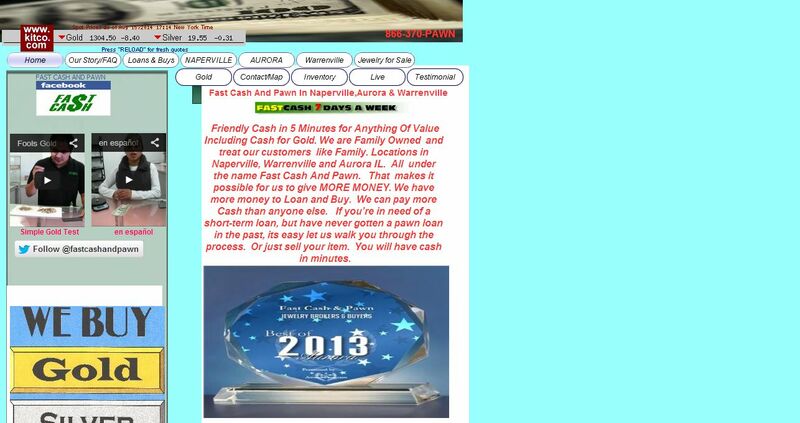 Fast Cash And Pawn address, phone, website, hours of operation, and more. We are family owned and treat our customers like family. Locations in Naperville, Warrenville and Aurora IL. All under the name Fast Cash And Pawn. That makes it possible for us to give more money. We have more money to loan and buy. We can pay more cash than anyone else. If you’re in need of a short-term loan, but have never gotten a pawn loan in the past, its easy let us walk you through the process. Or just sell your item. You will have cash in minutes.